Yerevan is known as the ‘pink city’. The Armenian capital owes this name to its native stone, tuff, which shimmers in a range of colours from red and white to orange and black, defining the appearance of the cityscape. Pablo Neruda, who saw Yerevan as one of the most beautiful cities in the world, was so moved that he compared it to a rose. But is it a harmonious city? In principle, yes, but this visual harmony stands in sharp contrast to the conflicts that Yerevan has had to live through. Natural disasters and the genocide in 1915 have seared themselves deeply into the identity and architecture of Armenia. 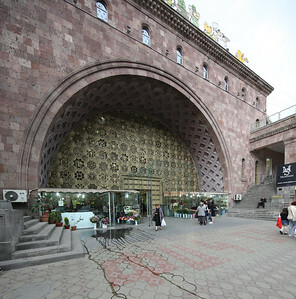 In Architectural Guide Yerevan, architectural theorist Tigran Harutyunyan follows the history of the city in ten tours, finding his way through streets that were crucial for the city’s architectural development. Yerevan is one of the oldest cities in the world and is – together with the biblical Mount Ararat, which stands within view – a significant place for Armenian culture. However, the mountain now belongs to Turkey and today’s cityscape dates back primarily to the formative 1920s and the master plan drawn up by the architect Alexander Tamanyan in 1924. 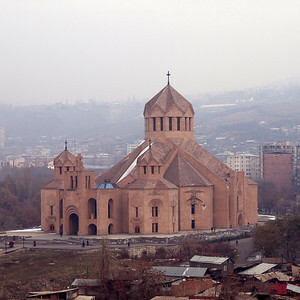 This is the first ever architectural guide on Yerevan. After giving an introduction to the city’s architectural history, the guide focuses on the time following the short period of independence between 1917 and 1921. It particularly focuses on the time during Armenia’s membership of the Soviet Union until its collapse. 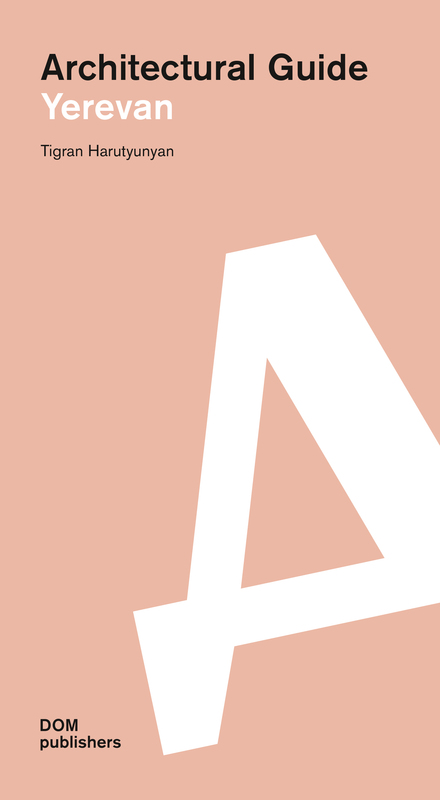 The book unfolds in narrative form and explores Armenian Constructivism, nationalist architecture, Soviet modernism, and the role of the Armenian diaspora. An additional excursion takes the reader to Spitak, which was destroyed by an earthquake in 1988 and had to be rebuilt elsewhere as the last ideal city of the Soviet Union. This architectural guide thus concludes by raising the question of what constitutes the essence and character of the modern Armenian city. DOM publishers has also published the monograph Contemporary Villas in Armenia. 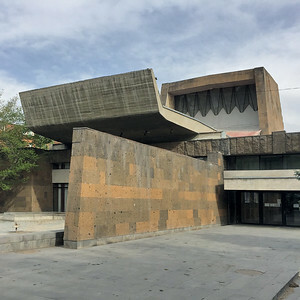 This volume presents ten private residential houses by the Armenian architect Garegin Yeghoyan, who draws on the International Style and works with the country’s native tuff stone. Another architectural guide explores Tbilisi, the capital of the neighbouring country Georgia. 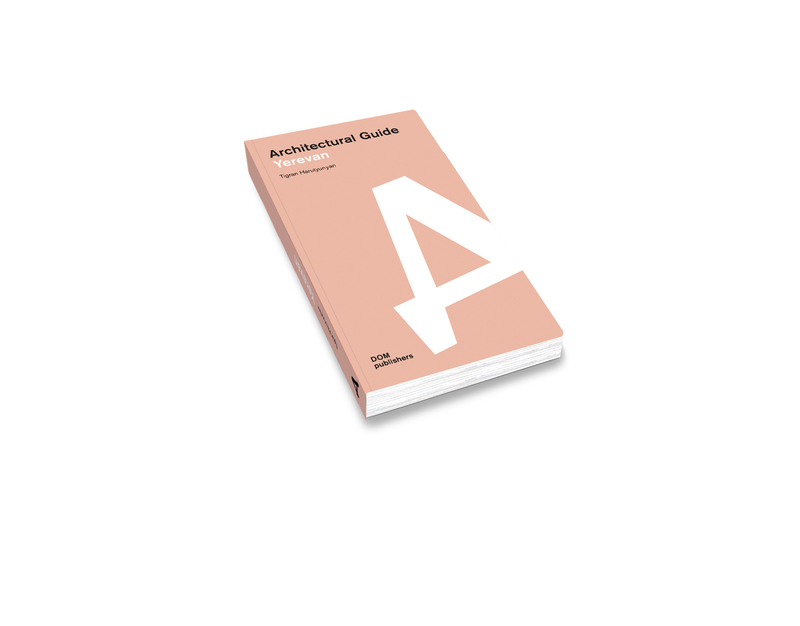 Readers can learn more about the development of Soviet ideal cities in the wake of devastating natural disasters in Architectural Guide Slavutych and Seismic Modernism: Architecture and Housing in Soviet Tashkent.